Club Penguin Cheats by Mimo777 Club Penguin Cheats by Mimo777: Island Party Reviewed By You...Finally! My Favorite Part of the party is the ship battle! You have the pirates with complicated cannons to load and the penguin navy with easy to load cannons. I actually like to be the pirates because I have an actual pirate costume and I like more of a chalenge. I Also Like the different bases in the cove and the beach and the things people say make it better. Rock on CP! 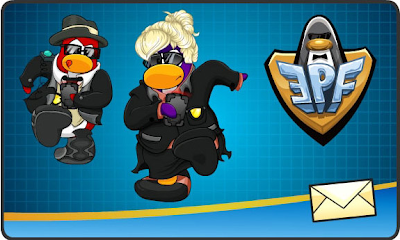 They want to know about any agents you know that has gone "above and beyond the call of duty" for the Elite Penguin Force! Hmm, can you think of any agent that fit that description? Mimo when you log in and click the second check box, the popup thing looks a little weird. P.S. Lol I was just about to comment on the new reviewed-by-you when you posted it. Nice. I think Gary The Gadget Guy(Agent G) fits the description.